The specific purpose of the secret ballot isn’t yet known, and the precise plan possibly hasn’t been finalized. As one source explained it to PFT, many different approaches and permutations of votes are possible. If 17 owners vote in favor of using a secret ballot, then the secret vote in question will be held and it would then take 24 owners to approve whatever it is Jones wants, presumably the negation of a 32-0 vote to negotiate a contract extension with Goodell. 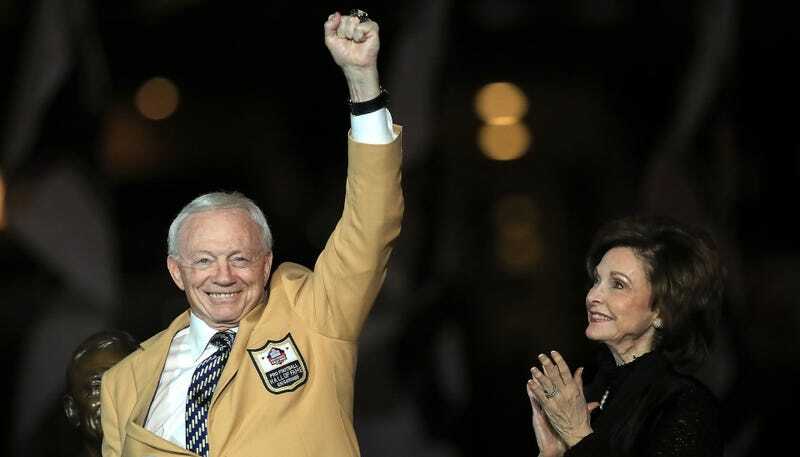 Jones has a history of conducting secret votes, and the last time he pushed for secret ballots, he got his way and helped Stan Kroenke move the Rams to a new stadium in Inglewood, defeating a proposal to move the Raiders and Chargers to a shared stadium in Carson. The committee also again advised Jones to drop the issue, saying that his unwillingness to do so “reflects conduct unbefitting an owner and is damaging to the League,” according to a copy of the letter reviewed by The Wall Street Journal. Okay cool, see you all here again tomorrow when someone sends another letter about all these letters.